On the occasion of the announcement from Mehring Books of the publication of David North's, Hegel, Marx, Engels and the Origins of Marxism, we thought it appropriate to republish an extended comment on this piece written back in 2007. 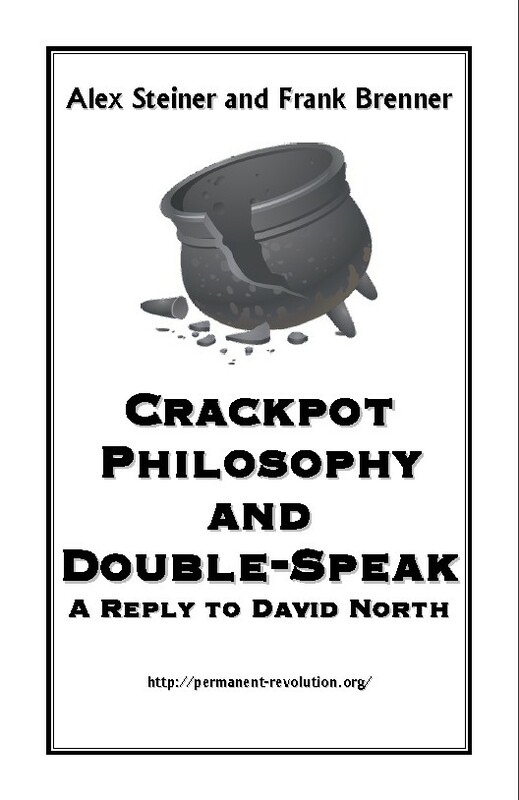 The blurb from Mehring Books states that North's essay, a review of a book by Tom Rockmore, "...sets out in a positive manner Marx’s materialist reworking of the Hegelian dialectic" (http://www.wsws.org/en/articles/2013/10/21/mehr-o21.html). We beg to differ. As the following response to North shows, his essay does nothing of the sort. A word on the context of our response to North. A Case Study in the Neglect of Dialectics was originally written and published as one section of a book length polemic with David North, then the leader of the Socialist Equality Party and even now still the Chair of the Editorial Board of the World Socialist Web Site (http://wsws.org). While those polemics have outlived their expiration date we feel that the philosophical and historical issues addressed in our response to North are of lasting importance, despite the poverty of content in North's piece. In this period of intensified class conflict throughout the world the emergence of new forces capable of successfully guiding the struggle for socialism becomes decisive. The experience of the Occupy Wall Street movement shows - once again - that no amount of inspiration and militancy will be up to the task if it is devoid of a solid theoretical and historical foundation. We hope that the republication of this material contributes to building that foundation. A Case Study in the Neglect of Dialectics was originally published as one section of one chapter of the polemic, Marxism Without its Head or its Heart (Chapter 3 page 78-87) and appeared on the permanent revolution web site. Marxism Without its Head or its Heart was in turn a response to David North's book length polemic Marxism, History and Socialist Consciousness, (Mehring Books, Oak Park, Michigan, 2007) http://www.permanent-revolution.org/polemics/mhsc.pdf. The reference to the "IC" is an acronym for the "International Committee", the umbrella organization that publishes the World Socialist Web Site. It was our contention that dialectics is a dead letter in the IC, as is the struggle against pragmatism. The evidence we offered is that there hasn’t been any articles or lectures on these issues in 20 years, and in the 2005 party summer school lectures the word pragmatism did not appear once. North countered this criticism by citing one article, his own critique of Marx After Marxism by Tom Rockmore, but as we pointed out, this is a clear case of the exception proving the rule. In the philosophy archives of the WSWS, which go back to 1998, there isn’t any other article on dialectics and nothing on pragmatism, and it is much the same picture if one were to go back a decade prior to the advent of the WSWS. Thus, even if the review of Rockmore’s book were every bit the serious discussion of dialectics that North claims it to be, this one lone piece in two decades, no matter how profound, would still signify a shameful legacy of neglect of this central concern of Marxist theory. Unfortunately, North’s article hardly qualifies as a discussion of dialectics at all. Its main concern is to beat back a tendentious interpretation of Marx and Engels by Professor Rockmore. Rockmore’s book decries Engels as a vulgar positivist who did not absorb the subtlety and depth of Marx’s thought. As for Marx, he is painted by Rockmore as a Hegelian, an idealist and a reformist. North’s brief, as he sees it, is to rescue Marx and Engels from the distortions promulgated by Rockmore. The overwhelming bulk of this review is concerned with demonstrating that yes, Marx was indeed a materialist and Engels was no vulgar positivist. While we can agree with North in these conclusions, they do not in any way constitute an examination of dialectics. True, the word “dialectic” is mentioned a dozen times or so in the course of this two part series, about half the time in the words of others whom North quotes. But nowhere is there, outside a couple of quotes from Marx, even a brief discussion of the meaning of dialectics, whether it be the dialectics of Hegel or that or Marx. Dialectics is the theory of knowledge of (Hegel and) Marxism. This is the “aspect” of the matter (it is not “an aspect” but the essence of the matter) to which Plekhanov, not to speak of other Marxists, paid no attention … Dialectics as living, many-sided knowledge (with the number of sides eternally increasing), with an infinite number of shades ... here we have an immeasurably rich content as compared with “metaphysical” materialism, the fundamental misfortune of which is its inability to apply dialectics to the Bildertheorie, to the process and development of knowledge. Instead of a serious discussion of dialectics, North seizes on Rockmore’s book as one more opportunity to don the mantle of orthodoxy in defense of materialism as he engages in combat against the professorial class. He is reprising the role of Kautsky and Plekhanov taking on Eduard Bernstein. But as we have seen, the defense of orthodoxy by the leaders of the Second International, while necessary, had a far from harmless subtext. For behind the defense of orthodoxy was hidden the internal decay of Marxist theory. Plekhanov’s defense of materialism allowed him to elide the difference between Marxism and mechanical materialism. And whereas the idealism of Bernstein was the most obvious manifestation of the theoretical crisis of the Second International, the increasing influence of vulgar materialism, which evolved largely underneath the radar, in the end proved a more potent and long-lasting enemy of Marxism. We can say, to paraphrase Marx, that all great polemical battles appear twice: the first time as tragedy, the second time as farce. If Plekhanov’s polemics against Bernstein constituted an important if contradictory event in the history of Marxism, then North’s battle against Rockmore is little more than a sorry attempt to cover up a neglect of theory lasting over two decades. North begins his piece by placing Rockmore’s book within the context of what he calls the ‘Pseudo-Hegelians.’ North makes a valid point in identifying a group of academics who have reacted to the demise of the Soviet Union by searching for an alternative to Marx in the work of Hegel. But as we have seen elsewhere, when North does make a valid point, it is often made one-sidedly and conceals something else. In this case, North avoids mentioning that the Hegel that is being resurrected by the ‘Pseudo-Hegelians’ is not the Hegel who inspired Marx when he wrote Capital – even as he critiqued him, nor the Hegel to which Lenin turned in 1914. 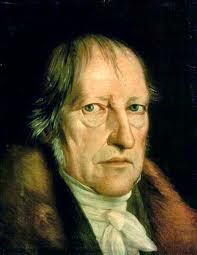 Rather it is Hegel the political theorist and author of the Philosophy of Right to which this group turns – in short the most conservative part of Hegel. North’s review of Rockmore’s book completely ignores this side of the Hegelian revival and contributes further to the neglect of the dialectic. Essentially what North does is to focus his fire on those who would revive Hegel’s political philosophy while ignoring the burning necessity for a turn to a study of the dialectic. While we agree that the attempt to revive Hegel’s political philosophy is a retrograde tendency, we part company with North’s usage of this tendency to further reinforce a turn away from that which is revolutionary in Hegel, namely his dialectic. It is against this backdrop that we must examine some of North’s arguments. Marx is saying, as clearly as he possibly can, that his own method is fundamentally different than Hegel’s—“its direct opposite.” And why? Because Hegel’s dialectic is that of an idealist for whom the real world is a merely a manifestation of thought; whereas for Marx, thought forms are a reflection in the human mind of a real existing material world. The chief defect of all hitherto existing materialism (that of Feuerbach included) is that things, reality, sensuousness, are conceived only in the form of the object, or of contemplation, but not as human sensuous activity, practice, not subjectively. Hence in contradistinction to materialism, the active side was set forth by idealism – but only abstractly, since of course, idealism does not know real sensuous activity as such. What Marx is saying here is that his materialism is fundamentally different than all previous forms of materialism, including that of Feuerbach. He is also saying that the problem with materialism as it has evolved up till now was that it never could account for the active role of consciousness. The latter was in fact most thoroughly explored by idealism, by which Marx means the idealism that developed in the tradition from Kant to Hegel. But idealism was imprisoned within its own forms of mystification. The new standpoint that Marx articulates is therefore neither that of the old materialism or the old idealism but the sublation of both. The manner in which you employ Hegelian phraseology is sophistry of the purest water. In place of a real explanation of the relationship between utopianism and Marxism, you resort to terms such as aufheben and “unity of opposites”. This is simply a means of saying nothing, and making it appear profound. To sublate, and the sublated (that which exists ideally as a moment), constitute one of the most important notions in philosophy. The reason that “Aufheben” does not concern North is that he has a non-dialectical grasp of the emergence of Marxism from out of the cauldron of French materialism and German idealism. That is why in his polemic with Rockmore, he fails to acknowledge the active side that was developed by idealism. While it is true to say that Marx was a materialist – this against Rockmore – it is just as true to say that Marx’s form of materialism was at once a cancellation and a preservation of this “active side” – i.e. a sublation. To miss that is to miss the difference between Marxism and “all hitherto existing materialism”. Thus North’s piece is little more than a dishonest attempt to clothe himself in the mantle of the defense of orthodox Marxism while at the same time smearing over the contradictions between mechanical materialism and Marxism. North inevitably digs himself into a pile of evasions. Again, Rockmore relies on the intellectual acquiescence of an academic community steeped in cynicism and indifference. He takes for granted that no one, at least in the academic milieu within which he operates, will take him to task for writing things that have absolutely no basis in fact. Has Rockmore ever bothered to review the writings of G. V. Plekhanov, the “Father of Russian Marxism”? Even those who disagree with Plekhanov’s philosophical conceptions could not claim, in good faith, that his familiarity with Hegel was anything less than exhaustive and profound. Is Rockmore unfamiliar with Lenin’s Conspectus on Hegel’s Science of Logic? The crucial issue is whether the mind reflects an independent world. But if that were really “the crucial issue” then virtually everyone in the history of modern philosophy, excepting only a few religious thinkers and solipsists such as Berkeley, could be classified as supporting a theory of reflection. There must be something more to it than that. And indeed, no sooner does North tell us what the crucial issue is than he goes on to qualify it to the point where it is no longer recognizable. The ideal forms in which the material world is reflected are complex and contradictory. The ideal reproduction of the real in the human mind proceeds through a historically and socially-conditioned process of abstraction. In this specific sense, the mind is not functioning merely as a “mirror,” in which reality is, on the basis of immediate reflection, reproduced in all its complexity. We can agree with this latter statement, but then what has happened to the “crucial issue”? In fact, the real crucial issue is not the catch-all “whether the mind reflects an independent world” but how the mind cognizes this independent world. When the model of cognition is a kind of copy then we have what has been traditionally understood as a theory of reflection. In traditional reflection theory, a thought or a word corresponds to a thing. It is the simple one to one relationship that is characteristic of reflection theory. A dialectical theory of cognition on the other hand, while certainly acknowledging that thoughts reflect objective reality, rejects this one to one model of the relationship. (We may also add, to paraphrase a point made by Lenin in his Hegel Notebooks, that the mind, consciousness, does not merely reflect an objective world, it is also part of that world and transforms it through social practice.  ) But it was precisely this simplistic version of cognition that characterized much of the vulgar Marxism that was propounded by Stalinism over several decades. North correctly points to the work of Soviet philosophers such as Ilyenkov who challenged this vulgarized model of cognition, but he fails to acknowledge that reflection theory as it has been understood traditionally, is indeed incompatible with a dialectical theory of cognition. This whole matter of reflection theory demonstrates yet again that you cannot master the complex problems of the philosophical development of Marxism by resorting to the undialectical materialism characteristic of Plekhanov and the theoreticians of the Second International. What inevitably results is a botched effort that obscures more than it reveals. And how could it be otherwise given the IC's decades-long neglect of dialectics? North’s defense of orthodoxy inevitably dances around the question of what happened to the great defenders of orthodoxy in the past. A philosophically serious critique of Rockmore would not stop in absolving Engels of the charge of positivism, but would have to deal with the reasons why positivism did in fact arise and eventually dominate the Second International. But this North cannot do because his version of Marxism has no room for the dialectic. He is unable to provide a serious diagnosis of the causes and etiology of the disease to which the Second International (and, one might add, the American Socialist Workers Party later on) succumbed. This is the fruit of the turn away from dialectics. 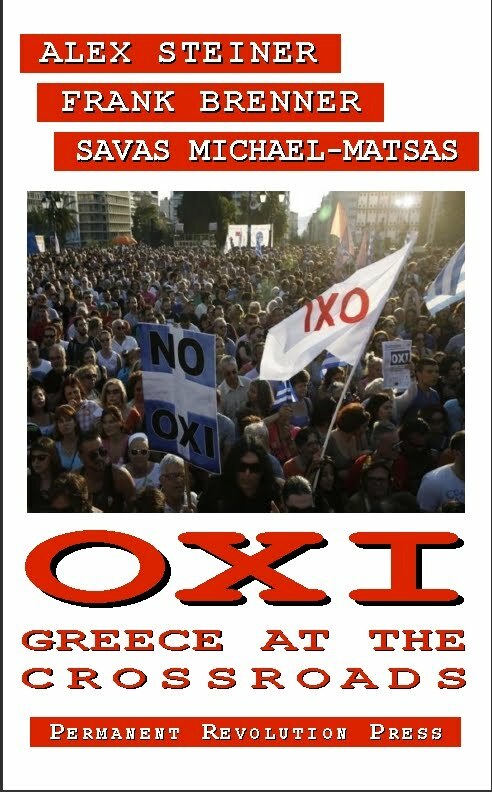 A new generation looking to Marxism for answers to the crisis that besets us today will not find it in a retread of the orthodoxy of the Second International. Unfortunately, this is all they will get out of North’s philosophical exercise. 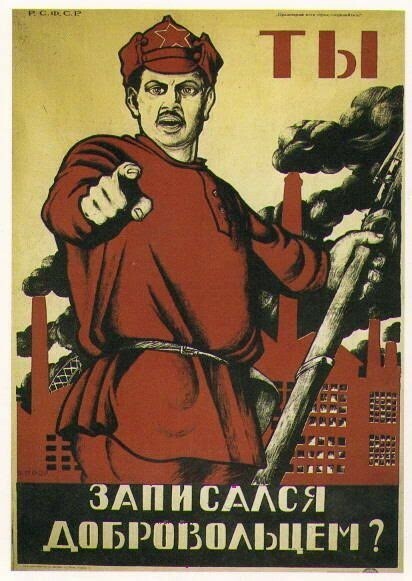 What passed for Marxism in the Second International paved the way for the great betrayal of 1914. The enormity of that betrayal was unsurpassed in its time and was only overtaken by the even greater betrayals of Stalinism a decade later. Any attempt to return today to some idealized version of a “healthy” Social Democracy will only pave the way for new betrayals in the future. What is needed today is not a return to orthodoxy, but a return to Marx’s dialectic, the only comprehensive theory of change to arise out of the Western tradition. Only then will philosophy rise beyond the level of mere contemplation and become a force, wedded to the struggles of the working class, in changing the world. © Copyright 2007 by Frank Brenner and Alex Steiner. All rights reserved. V.I. Lenin, Collected Works Volume 38, (Progress Publishers), p. 360. However, the term ‘Pseudo-Hegelian’ suggests a more coherent intellectual movement than actually exists, and some of the writers he mentions simply do not fit in. For instance, one of the ‘Pseudo-Hegelians’ that North identifies is Errol Harris. Now Harris may be a Hegelian, but there is little ‘pseudo’ about him. This 99 year old retired professor is about as close to an orthodox Hegelian as you are likely to find on either side of the Atlantic. He is one of the very few contemporary philosophers who have tried to defend Hegel as a metaphysician and profound religious thinker. He is also one of the very few contemporary philosophers who have seriously tried to develop Hegel’s Philosophy of Nature. Another of the authors North mentions, David MacGregor, is on the fringe of Hegel scholarship with a very idiosyncratic interpretation of Hegel (to say the least) that is not accepted even by his fellow ‘Pseudos’. MacGregor has in recent years proposed a kind of conspiracy theory to account for Hegel’s apparent conservatism in his later years. According to MacGregor Hegel was part of a secret conspiratorial group and his public pronouncements were made to throw the conservative Prussian monarchy off the trail of he and his comrades. MacGregor makes this case in particular in his work, Hegel and Marx after the Fall of Communism, (University of Wales, 1998). It is partly on the basis of this historical interpretation that MacGregor concludes that Hegel was really a communist, and a more radical one at that than Marx. MacGregor’s thesis is actually far less radical than it sounds once one understands that what he means by “communism” is little more than the welfare state of his native Canada. In his book, Hegel, (Cambridge University Press, 1975). Lenin, Collected Works, Volume 38, p. 180. Hegel, Science of Logic, translated by A. V. Miller, (Humanities Press, 1969), p. 106-107. Marx, Capital, Volume I, translated by Ben Fowkes, (Penguin Classics), p.198. North’s attitude to a study of Lenin’s Hegel Notebooks can be gauged by the fact that to this day the WSWS has never even mentioned the only serious study to be published on the subject, Kevin Anderson’s Lenin, Hegel, and Western Marxism. (University of Illinois Press, 1995). While there are very big problems with Anderson’s treatment, particularly in his underestimation of Trotsky as a serious Marxist theoretician, the work nevertheless deserves critical attention. Mention might also be made of several other important philosophical works that have been published in the past twenty years that have been completely neglected by the WSWS. Above all, it is astonishing that the WSWS never wrote a review of Trotsky’s Philosophical Notebooks although they were published way back in the 1980’s. In more recent years, Lukacs’ Tailism and the Dialectic was published. This book includes important previously unknown material defending his History and Class Consciousness against some of its detractors. And just last year, Bukharin’s Philosophical Arabesques was published, also without comment from the WSWS. Steiner had an extensive discussion of the evolution of Lenin’s conception of ‘reflection’ in his Dialectical Path of Cognition. It is relevant to North’s discussion with Rockmore for Steiner shows that by 1914 Lenin had gone beyond the simple model of ‘reflection’ characteristic of Second International Marxism. A key passage from that discussion follows. There is nothing like this in his earlier philosophical work. There he emphasized the dichotomy between the ideal and the real. Here he is emphasizing both their dichotomy and their unity. The relationship of the ideal to the real is a unity in difference. The vulgar materialist, whether crude or sophisticated, always insists that man’s consciousness reflects the objective world, but forgets the second part of Lenin’s thesis, that it also transforms (a better word than “creates”) the world from which it has arisen. Marcuse, Reason and Revolution, p. 398. Development and Evolution: Complexity and Change in Biology, (MIT Press, 1993), p. 227. Interesting points, that Marx was no more a traditional materialist than he was an idealist and that the life giving element of his synthesis of these traditions came from, and could only have developed within, the idealist current. Lenin is, I think, also arguing that in so far as it abstracts the laws and processes of the material world, consciousness is more real and true, has more depth, than the world as it concretely confronts us, as moment.